The largest and most affordable Online Bicycle Carrier Bags Shop! Do you want to buy a Bicycle Carrier Bag online? 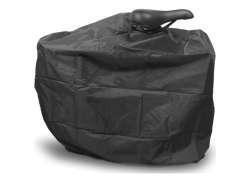 Hollandbikeshop.com has the Bicycle Carrier Bags you're looking for. 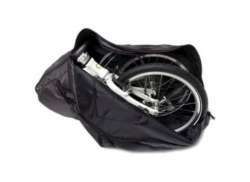 A bicycle carrier bag is convenient for transporting or storing your folding bike. 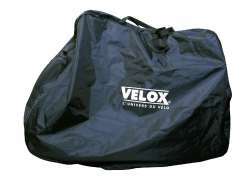 Whenever you're on the road with your folding bike, and taking it onto a train or putting it by your desk, it can be safely stored away or carried in one of these bags. With a bicycle carrier bag your folding bike is less likely to suffer damages, for example by a bike cable getting caught on something. 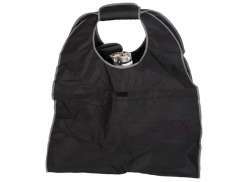 At Hollandbikeshop.com you can find a wide choice of Bicycle Carrier Bags by brands like Mirage. In our wide Bicycle Tools and Maintenace range on Hollandbikeshop.com you can find the Carrier Bags for your Folding Bike in various colors, sizes and models, suitable for 16-20 inch bicycles or 24-26 inch bicycles. You'll surely find the Carrier Bags for your bicycle you're looking for. 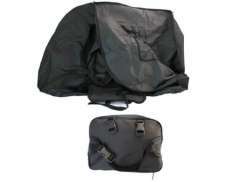 Hollandbikeshop.com is dealer of Bicycle Carrier Bags and has a large and affordable range. We also often have Carrier Bags for the Bicycle on sale or in our outlet, so keep an eye on our sale button. 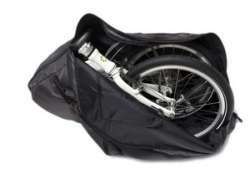 The largest and most affordable online Bicycle Carrier Bag shop!